Martha writes to inform Mrs. MacDougall that she is sending some literature about the Berry Schools. 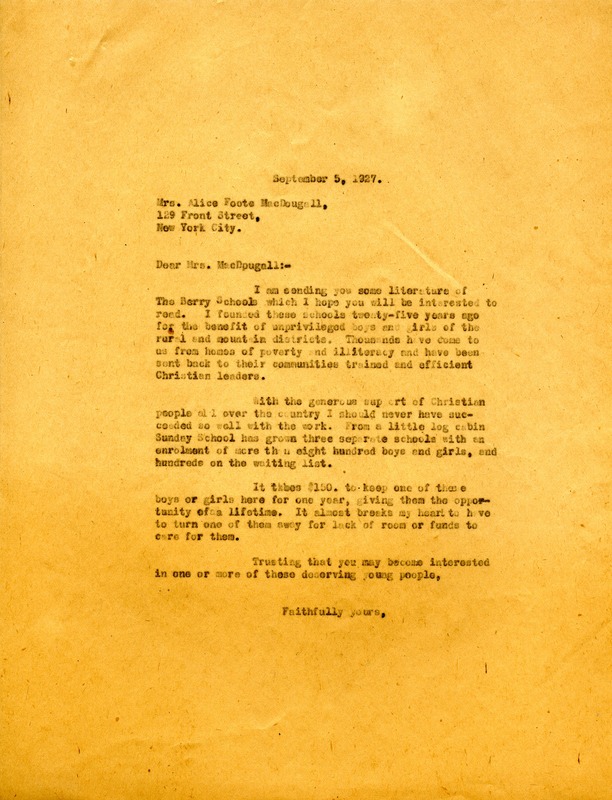 Miss Martha Berry, “Letter to Alice MacDougall from Martha Berry.” Martha Berry Digital Archive. Eds. Schlitz, Stephanie A., Aaron Jackson, et al. Mount Berry: Berry College, 2012. accessed April 22, 2019, https://mbda.berry.edu/items/show/6323.